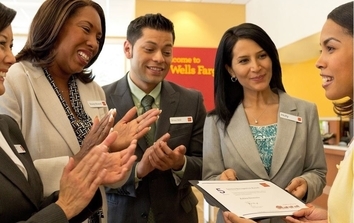 At Wells Fargo, we have one goal: to satisfy our customers’ financial needs and help them achieve their dreams. We’re looking for talented people who will put our customers at the centre of everything we do. 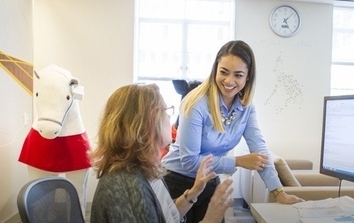 Join our diverse and inclusive team where you’ll feel valued and inspired to contribute your unique skills and experience. Wells Fargo Asset Management, a division of Wells Fargo Wealth and Investment Management, strives to help clients achieve their financial goals through top-tier investment options managed by specialized investment teams that are supported by independent risk management and backed by superior, collaborative service. With more than $504 billion in assets under management as of January 12, 2018, Wells Fargo Asset Management has 29 autonomous investment teams with specialized expertise and proven processes, more than 500 investment professionals, and a global reach with offices and clients around the world. Within WFAM, The International Business Team delivers holistic solutions and thought leadership to our clients, with a focus on international asset owners and intermediaries. The team employs a consultative approach to understanding the needs of the client in order to offer the best solution, utilizing the vast array of capabilities offered across Wells Fargo Asset Management. To deliver these capabilities to our clients, the team employs a regional territory model whereby sales directors and relationship managers work collaboratively to develop, retain, and grow relationships with institutional clients within the region. While each role in the region has specific responsibilities, the team-focused approach ensures that there is alignment in deepening relationships and growing our presence. The Regional Territory Leader is critical to the success of the region. This leadership position will primarily be focused on developing new business within the region, while also having responsibility for the overall results of the region, as well as the management of the members of the regional team. This role is primarily focused on developing new business within Austria and Germany. Core responsibility for the overall results within their area, as well as, the strategic planning for the region/channel. Key responsibilities of this role include, but are not limited to, participation in developing and executing the strategy to drive positive net revenue within Austria and Germany; engaging in the most complex, critical, and strategic relationships within their area to develop, grow, and retain those relationships; maintaining thorough, direct dialogue with clients, understanding their needs, and delivering solutions; understanding and staying current on Wells Fargo's business strategy in order to drive firm-wide initiatives; developing the area's presence by developing client-focused events (i.e. a symposium, seminar, etc.) that can develop and reinforce our brand of being a holistic solutions provider. 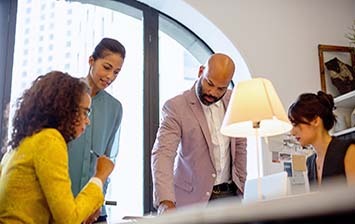 As a co-leader, you will partner with functional managers to ensure talent is aligned to the best opportunities, activities of each team member are aligned to maximizing net new revenue within their area; coaching and developing new team members to grow and advance in their roles; and partnering with the International Leadership team to hire as needed to strengthen the team. A deep understanding of the German and Austrian institutional market is expected. Within the institutional market, the candidate should be familiar with the German/Austrian corporate sector and have deep industry contacts into this space. Experience within the German and Austrian Financial Institutions/Intermediary space is helpful. This would include experience with German regulatory set up as it pertains to pension funds, but also to insurance companies. An insurance specific background and/or years of insurance specific working experience in providing asset management solutions to insurance clients would be viewed as beneficial. Extensive knowledge of the asset management industry, trends, as well as products and solutions.